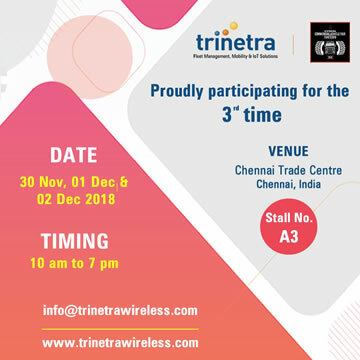 As one of the prominent players in GPS Vehicle Tracking & Fleet Management Solutions, we atTrinetra Wireless are glad to announce our participation as an exhibitor in ‘The International Commercial Vehicle Fair’ (TICVF) for the 2nd consecutive time which is scheduled to run from 10th to 12th October 2014, at the Chennai Trade Centre (CTC) Complex, Nandambakkam, Chennai, Tamil Nadu, India. 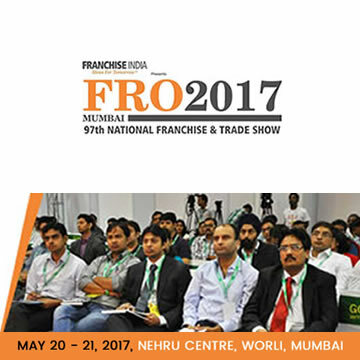 As India’s first-ever automotive fair dedicated to commercial vehicles segment, The International Commercial Vehicle Fair (TICVF) renders itself as the foremost neutral platform for showcasing the most comprehensive range of Commercial Vehicles, Equipment, Components, Accessories and the latest trends in technology to users from Fleet carrying industry. 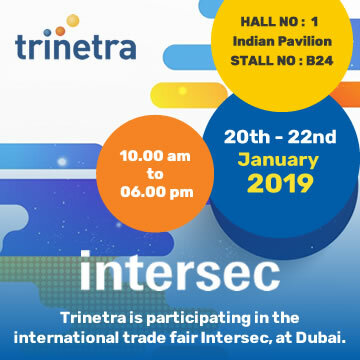 Using this fair as a great leverage, we at Trinetra Wireless, have planed to showcase our award winning, eco-friendly product and our industry specific solution offerings to our potential customers and leading companies in the fleet management sector. We plan to show our visitors how our fleet management solutions can help them to improve business productivity and overall operational efficiency today and prepare them for tomorrow. 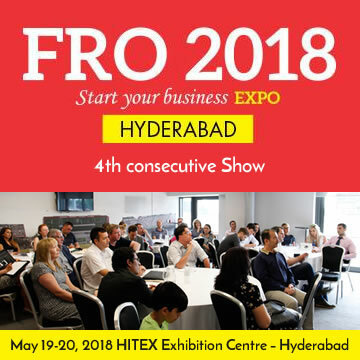 This year we will be showcasing our products at Stall No: A6, visitors can come visit our stall and speak with our stall representatives and team of experts who will be ready to demonstrate Trinetra’s products and solutions. We look at this as an opportunity to gain market insights and to obtain useful feedback that can help us to shape-up our product roadmap to meet the evolving needs of GPS Vehicle Tracking & Fleet Management industry. 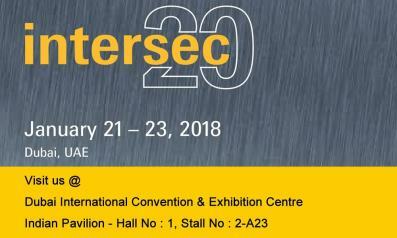 If you are interested in Our Fleet Management Systems and want to know more about our solution offering then don’t forget to visit us at Stall No: A6 at the event. 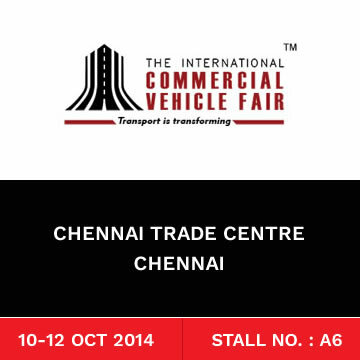 To schedule a meeting with Trinetra Wireless at the International Commercial Vehicle Fair 2014 Chennai, Contact us here.